Thanks for visiting my page! For me running is about more than just the thrill of competition. It provides me an opportunity to use my God-given talent to build relationships, connect with members in my community and build perseverance through trials, all while having ridiculous amounts of fun. Thanks for joining me on this crazy journey. Your support will make a difference as I pursue my dream to represent the USA, & as I seek to make a difference in my community. A portion of funds received will go to Girls on the Run. Deb Maier Takes ElliptiGo World Championship! Hailing from California's Bay Area, Deborah attended Pondersosa H.S. in Pleasanton prior to University of California, Berkeley, where she earned a degree in Political Science, minoring in Public Policy. 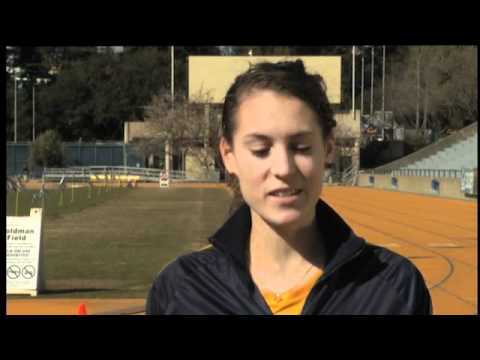 While competing for Cal, Deborah was a two-time All-American, and captured the third fastest collegiate 10k all-time. She now runs professionally with the Brooks Beasts Track Club in Seattle, WA. Deborah sees her athletic ability as God-given and consequently runs to glorify God. She picked up running after moving to Sacramento in the middle of high school and is happiest when longboarding, backpacking, or on an outdoor adventure. Being the youngest of seven kids, Deborah learned early how to keep up with the athletic crowd, knowing that if she was not good enough, she would not get to participate. Though she is a strong competitor, Deborah strives to have fun and strike balance in all her life's endeavors. Deborah is passionate for Athletes in Action and World Vision.